Africa’s Best Organics Carrot Tea-Tree Oil Therapy is a blend of organic oils enriched with Beta Carotene, Proteins, Vitamins, and Herbal Extracts. This all-purpose oils is specially formulated to rejuvenate hair, revitalize scalp and eliminate dry skin. This all purpose oil is specifically formulated to rejuvenate hair,revitalize scalp and stimulate skin. 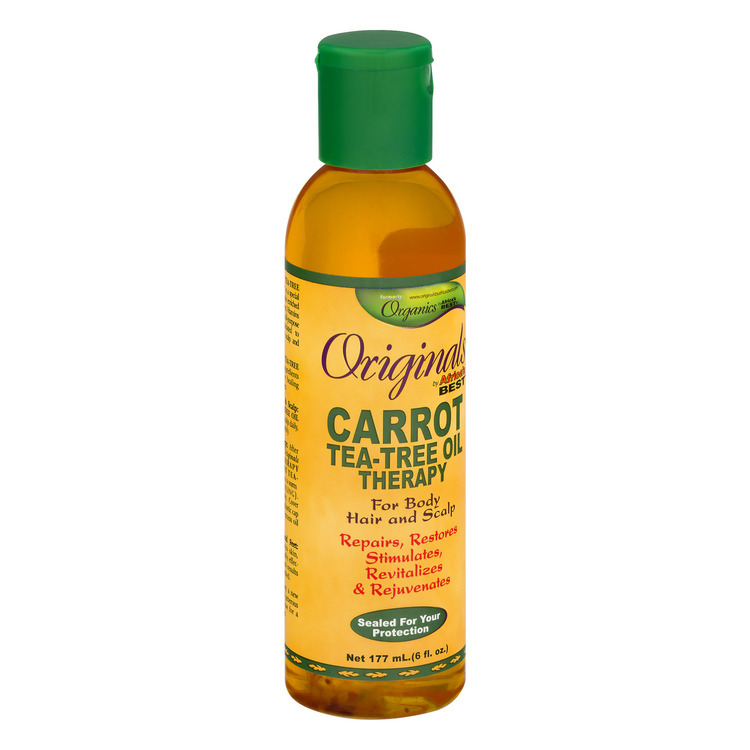 Direction: Massage Carrot Tea-Tree Oil Therapy into hair & scalp, distributing gently and evenly. Style as desired.